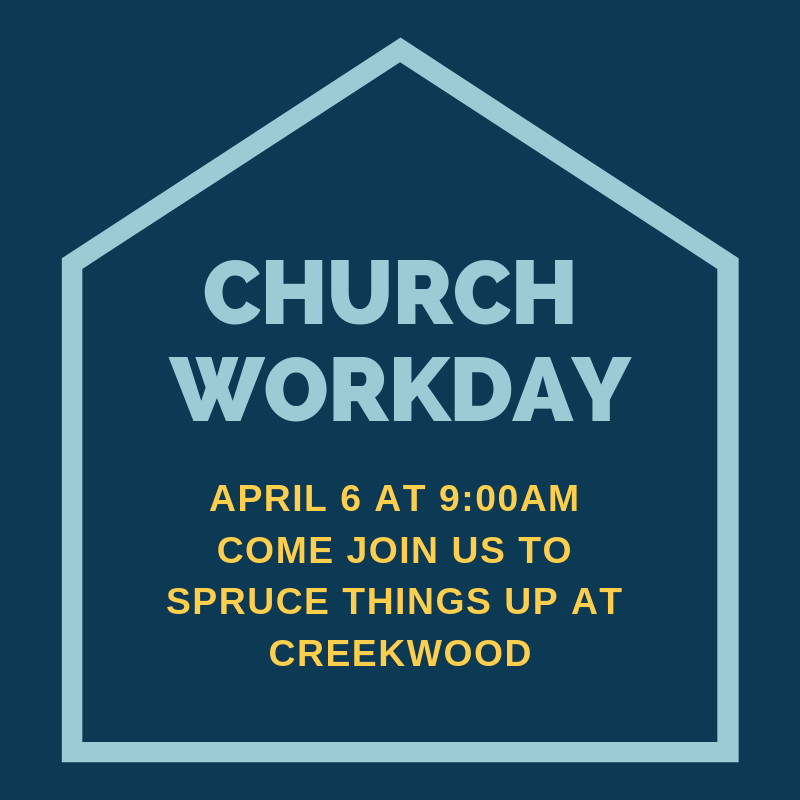 Make plans to join us for our church workday on April 6 , beginning at 9:00 am. We will be tidying, sprucing, and updating a few things to make sure that our building is in great shape for Easter Sunday. Wear your comfy, grungy clothes and come ready to help!